Direct wall or ceiling mounting. Drill points on rear for ceiling/wall box/BESA mounting. Rear cable entry hole and mounting points pre-drilled and sealed with rubber grommets. Ø20mm cable entry at either end and 4 fixing points. 3 way terminal block, 2x2.5mm² capacity. Cable gland and blanking grommets (2) supplied. 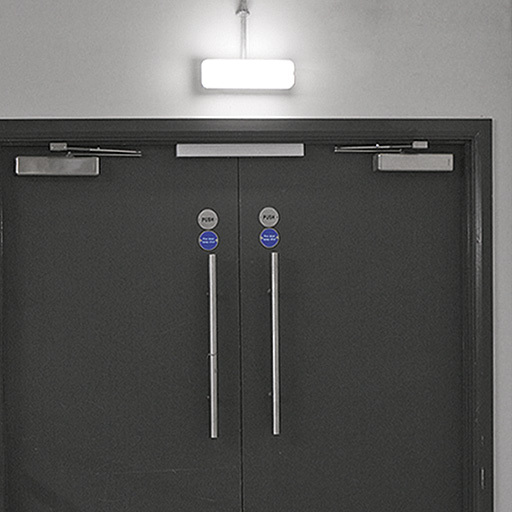 Self-contained exterior LED bulkhead with either selectable lumen output with emergency option or DALI dimming. 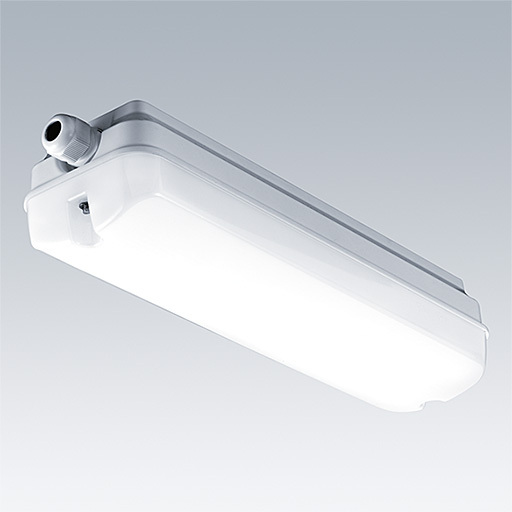 Cast aluminium body and opal polycarbonate diffuser. IP65.